The Ouya console hit retailers today but the company is still struggling to get units into the hands of its backers. 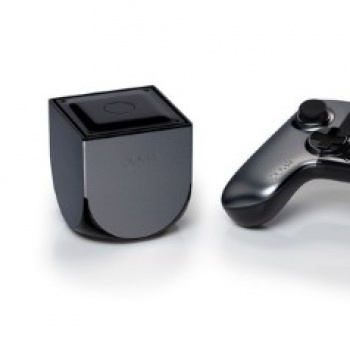 Today's the big day for Ouya, the Android-powered game console that made a huge splash on Kickstarter, as it's finally available at retail for those who didn't back it. Assuming you can find it, that is; Amazon and Target both list it as currently unavailable. But the real sticking point is that even though the console is now available to the public, many backers - that is, people who gave the Ouya folks money a year ago to support its development - still haven't received their machines. "I am pissed. Some of you have not yet received your OUYA - and, to you, I apologize. I did not promise to ship to *most* of you before we hit store shelves. I promised to ship to *all* of you. I've been reading your comments, and we are working to solve this," Ouya CEO Julie Uhrman wrote to backers today. The problem apparently stems from issues with shipping company DHL. Uhrman said the Ouya consoles have been in DHL's hands since May, yet many shipments still haven't gone out. In the same update, Operations Chief Ken Stephens explained that DHL's tracking system doesn't follow products until they arrive in local depots, which can lead to long, frustrating periods of silence, and that sometimes they just get delivered "without the product ever getting an arrival scan." Stephens said that all units coming out of Hong Kong have been shipped, and that they should arrive 15 to 17 days after the shipping confirmation date contained in the tracking emails. "We are working with our partners to resolve any administrative issues related to undelivered boxes (errors in shipping addresses, customs holds, etc.). I'm told that despite our best efforts, it may take another two weeks or more for some of these units to arrive," Uhrman wrote. "We will resolve this as quickly as possible. I've had my team working all evening to provide me with the current state of affairs and what we are doing to make it right." It's unquestionably a mess, and Uhrman said Ouya has tripled its customer service to help keep up with inquiries. Even so, the response on the Ouya Facebook page hasn't been entirely forgiving, as many users question why they supported the console in exchange for early access, only to see it reach retail first. It may not be Ouya's fault, but it's definitely taking a toll on the good will of its customers.